February films:"American Sniper" gave January's box office a shot in the arm that will help get February off on the right foot. The R rated biographical action war drama from Warner Bros. and Village Roadshow topped the chart again last weekend with $31.9 million despite strong competition from Sunday's Super Bowl festivities. Its domestic theatrical cume is $249million after only three weekends in wide release and that's likely to grow to $325 million or more. Since "Sniper" is the top grossing film among Oscar's best picture nominees, it stands to be the film viewers at home are rooting for when the sealed envelopes are opened Feb. 22. Although it received six Oscar nominations, director Clint Eastwoodwas surprisingly overlooked by the Academy's directing branch. He was, however, nominated by the Directors Guild of America, whose awards will be announced Feb. 7. This weekend should see a good start to the new month with three new wide releases competing for moviegoers' time and money. 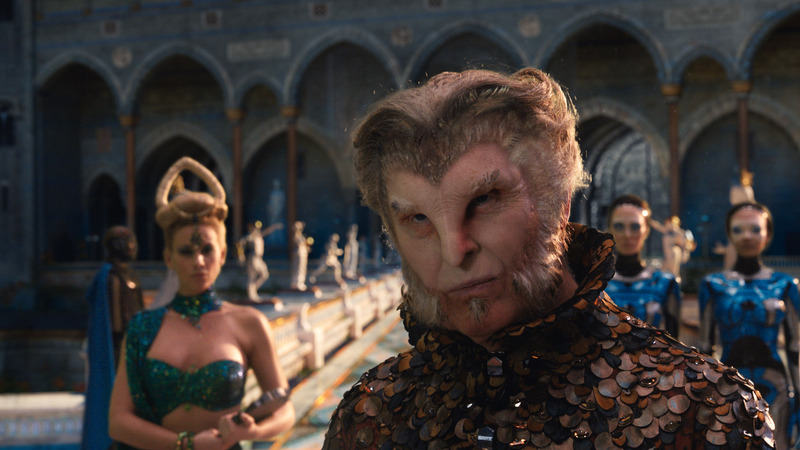 Warner Bros. and Village Roadshow Pictures, which made "Sniper," have a new potential hit in the 3D sci-fi action adventure "Jupiter Ascending,"from "Matrix" trilogy creators Andy and Lana Wachowski, opening at about 3,150 theatres. It's tracking best and in double digits with men 25-plus and nearly as well with under-25 men. Better yet, it's also tracking strongly with under-25 women. "Jupiter" was to have opened last July 18, but was moved out of the summer to allow it more time in post-production. It's new opening date proved to be an outstanding launch pad last year for WB's "The LEGO Movie," which arrived to $69.1 million and ended up grossing $257.8 million domestically. Mila Kunis plays Jupiter Jones, who was born amid signs that she was destined for great things. It's only when Caine (Channing Tatum), a genetically engineered ex-military hunter, arrives on Earth to track her down that Jupiter glimpses the fate that awaits her because her genetic signature puts her next in line for an extraordinary inheritance that could alter the balance of the universe. Also opening Feb. 6 is Universal and Legendary Pictures' PG-13 rated 3D family fantasy adventure "Seventh Son" at about 2,800 theatres. It's directed by Sergey Bodrov ("Mongol: The Rise of Genghis Kahn"). "Son" is tracking best and equally well with men under and over 25. Jeff Bridges, playing the sole remaining warrior of an ancient mystical order, travels to find a prophesized hero born with incredible powers-- the last Seventh Son (Ben Barnes). The unlikely young hero embarks on a daring adventure with his battle-hardened mentor to vanquish a dark queen (Julianne Moore) and her army of supernatural assassins. Family audiences will be a target of this weekend's third wide opening, Paramount and Nickelodeon Movies' PG rated 3D animated comedy adventure "The SpongeBob Movie: Sponge Out of Water"at about 3,500 theatres. Directed by first time feature director Paul Tibbit, who's directed a dozen episodes of the "SpongeBob SquarePants" TV series, its voice talents include Antonio Banderas, Frankie Muniz and Clancy Brown. It's tracking best with under-25 males and next best with women under 25. In this episode of the series, SpongeBob is looking for a stolen recipe and winds up in our world, encountering a pirate. 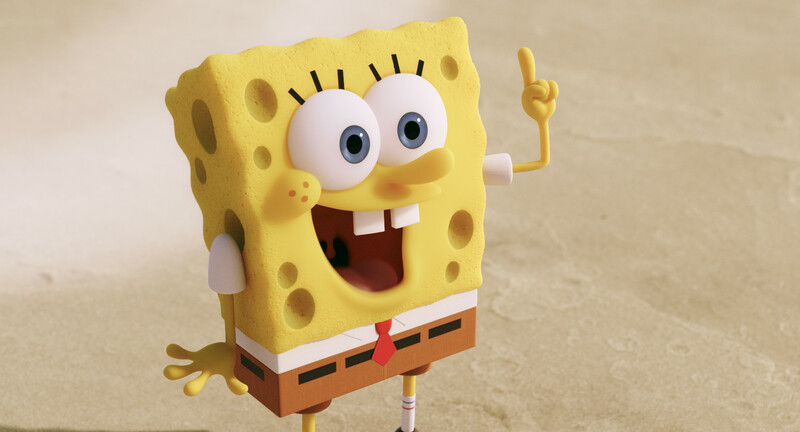 The franchise's original episode, "The SpongeBob SquarePants Movie," opened Nov. 19, 2004 to $32 million and went on to gross $85.4 million in domestic theatres. Feb. 13 ushers in a four day holiday weekend that includes Valentine's Day on Saturday and Presidents' Day on Monday. Only two wide releases are arriving, including one of the year's most highly anticipated films -- Universal and Focus Features' R rated romantic drama "Fifty Shades of Grey." Directed by Sam Taylor-Johnson ("Nowhere Boy"), it's based on the worldwide best-selling novel by E L James, whose "Fifty Shades" trilogy has sold over 100 million copies. "Fifty" is already tracking in double digits as an overall first choice to see. It's tracking best and in high double digits with women over 25 and next best with under-25 women. It's a great target audience that is known for girls-night-out movie going that generates big ticket sales. Also on deck for Feb. 13 is 20th Century Fox and Marv Films' R rated action adventure comedy "Kingsman: The Secret Service. "Directed by Matthew Vaughn ("X-Men: First Class"), it stars Colin Firth, Michael Caine and Matthew Vaughn. "Kingsman" is tracking best and in double digits with under-25 males and next best with men over 25. So it's the right kind of film to go head to head with the female-appealing "Grey." It's the story of a super-secret spy agency that recruits a promising street kid into its ultra-competitive training program just as a global threat emerges from an evil tech genius. Having no new family film opening for the long holiday weekend should work to the advantage of "SpongeBob" in its second week of release as parents look for a movie they can take young kids to see. Three wide releases will hit the multiplexes Feb. 20. Paramount and MGM's R rated comedy "Hot Tub Time Machine 2"is from Steve Pink, director of the 2010 hit "Hot Tub Time Machine. "It's tracking best with under-25 males and nearly as well with men over 25. Starring are Thomas Lennon, Adam Scott and Gillian Jacobs. In this new franchise episode Rob Corddry returns as Lou, who's become the "father of the Internet." When Lou's shot by an unknown gunman, Jacob (Clark Duke) and Nick (Craig Robinson) realize their time machine is the only possible way to save him. The original "Hot Tub" opened Mar. 26, 2010 to $14 million via MGM and went on to gross $50.3 million domestically. Disney's PG rated family drama "McFarland, USA," also opening Feb. 20, is directed by Niki Caro ("A Heavenly Vintage") and stars Kevin Costner, Maria Bello and Morgan Saylor. It's tracking best with men under and over 25 and women over 25. Costner plays a cross country coach in a small California town, who transforms his team into championship contenders. Lionsgate and CBS Films' PG-13 rated comedy "The DUFF" rounds out the weekend's new wide releases. Directed by first time feature director Ari Sandel, it stars Bella Thorne, Mae Whitman and Robbie Amell. "Duff" is tracking best with under-25 females. Mae Whitman plays Bianca, a high school senior whose world is shattered when she learns her classmates see her as The DUFF (Designated Ugly Fat Friend) to her prettier, more popular friends. To help reinvent herself, she enlists Wesley(Robbie Amell), a slick but charming jock. The month will wind up with two more wide arrivals Feb. 27. Warner Bros.' R rated crime comedy "Focus" is directed by Glenn Ficarra & John Requa, directors of "Crazy, Stupid, Love, "and stars Will Smith, Margot Robbie and Rodrigo Santoro. Things get complicated for Nicky (Smith), a veteran con man, when he becomes romantically involved with an attractive young woman (Robbie) he's taken under his wing. Relativity Media and Blum house Productions' PG-13 rated thriller "The Lazarus Effect" is from first time feature director David Gelb. Starring are: Evan Peters, Olivia Wilde and Mark Duplass. In "Lazarus," a group of researchers led by Frank (Duplass) and his fiance Zoe (Wilde) have achieved the unimaginable -- bringing the dead back to life. After a successful but unsanctioned trial on a newly deceased animal, they're ready to unveil their breakthrough to the world. But when their university learns of their underground experiments, their project is shut down and their materials confiscated. Taking matters into their own hands, they launch a rogue attempt to recreate the experiment, during which things go terribly wrong and one of them is killed. Fueled by terror and grief, Frank pushes them to do the unthinkable -- attempt to resurrect their first human test subject. Bottom line: February should bring bright "Grey" skies to the box office.